La Maison de Pierre et Valérie**** is situated in front of the well which, once upon a time, supplied water to the whole neighbourhood crowding around Saint Catherine's church. 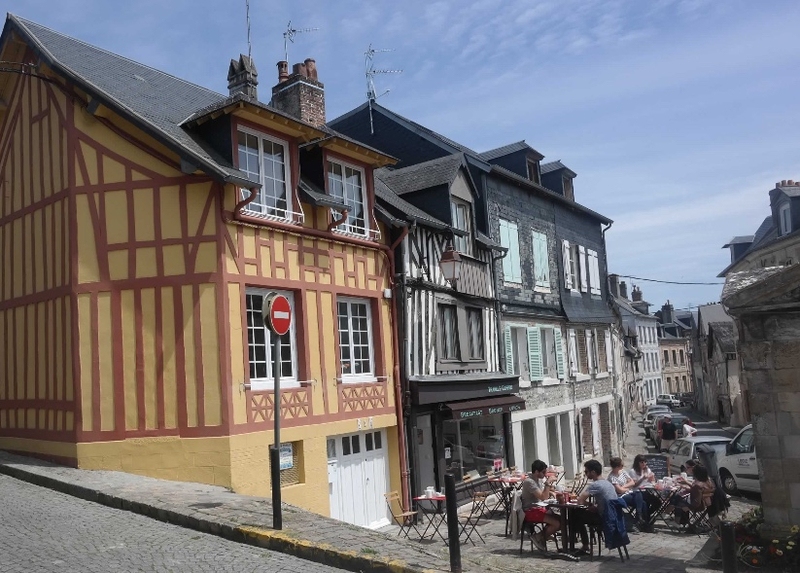 At the end of the charming street that winds down to the church is Honfleur's historic and artistic centre, just five minutes' walk from the Old Harbour, where all the shops and restaurants are. Going up to the other end of the street, is Mont-Joli with its incomparable view of Honfleur and a little further on, La Côte de Grâce and its 18th century chapel. 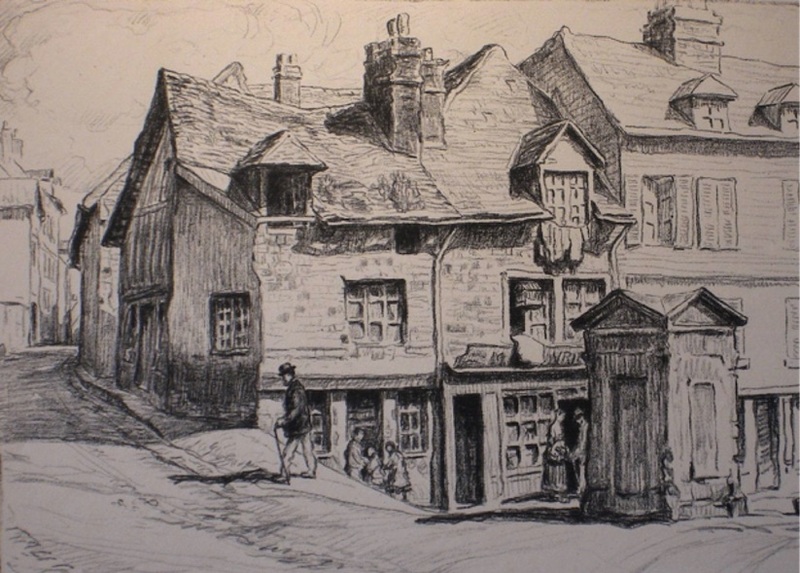 The house is like a door to the past, to the secret charm of old Honfleur that the Impressionist artists admired so much and painted so often for the delight of future generations. The house is very quiet and private. It was entirely renovated in 2016. A brand new fitted kitchen is all set to cook Normandy's culinary treasures. The house can comfortably accomodate a family of four or two couples. The house is efficiently soundproofed (although the Place is never very busy) from the noise of traffic. It used to be one of the traditional fishermen's cottages where the whole family enjoyed their tightly-knit life together and has kept its friendly and cheerful welcoming atmosphere. La Maison de Pierre et Valérie obtained its official four-star rating from the French Tourist Board in 2017 which is an assurance of high-quality fitments and superior client service.